SEVEN COMPLAINTS MADE against RTÉ’s The Late Late Show after a panellist said they would “bin” cyclists have been rejected by the Broadcasting Authority of Ireland. During a segment of the programme on 12 January, three panellists were invited to state what things they would “bin” for the New Year and one of the panellists nominated cyclists. One complainant claimed that the programme promoted mistaken myths against cyclists and that the programme presenter encouraged and magnified this “hate speech”, aimed at dehumanising people who cycle. The complainant claimed that cyclists were referred to as simply “blocking the roads”, as sheep, cows and farm animals. They said they believe that this segment of the show was offensive to people who cycle and would promote violence and aggression against cyclists. Another complainant claimed that the comments in the programme referring to “arrogant cyclists” and those cycling side-by-side, while meant to be light-hearted, could encourage frustration and anger against vulnerable road users, which they said is dangerous and irresponsible. Responding to the two above complaints, RTÉ said that “this was a comedic and light-hearted segment in which guests were asked to nominate their ‘pet hates’ and this editorial context was made clear to the audience”. 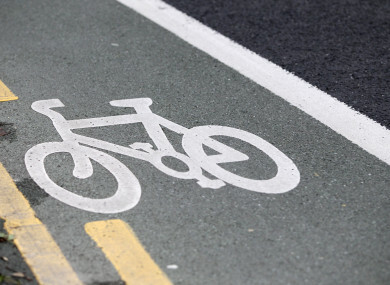 “One of the panellists wished to put ‘arrogant cyclists’ into the bin and her primary concern was ‘three or four cyclists abreast on a country road’,” RTÉ said. The broadcaster is of the view that the main editorial goal was to amuse the audience, partly through comic exaggeration, and the segment was not a serious discussion on road use or traffic safety nor was it meant to reflect a position of the broadcaster or the show on the issue of cycling safety in general. In relation to the first complainant, RTÉ said that “the comparison of cyclists with farm animals was in the context of cyclists three or four abreast blocking the roads”. “The broadcaster regrets the presenter’s error in referring to cyclists two abreast and acknowledges that this practice is not illegal. The broadcaster refutes the claim made in the complaint that one of the panellists inferred that cyclists should not be treated with consideration. In its ruling published today, the BAI said that it decided to reject the complaints. The Committee was mindful of the provision set out in the Code of Programme Standards, in which persons and groups in society shall be represented in an appropriate and justifiable way and shall not be treated in a manner which prejudices respect for human dignity. The members noted that Principle 5 has specific regard for the fact that certain individuals or groups may be considered as vulnerable and, as such, may require additional protection from discrimination. The BAI said it was the opinion of the Committee that the complaints, as submitted, “did not adequately demonstrate that cyclists should be considered as a vulnerable group and did not, therefore, warrant the additional protection provided for in Principle 5 of the Code”. Five other similar complaints in relation to this segment of the show were made and rejected by the BAI. One other complaint in relation to RTÉ Radio One’s Liveline was also rejected by the BAI’s Compliance Committee. The Executive Complaints Forum of the BAI considered and rejected 16 other complaints. These rulings were made at meetings held on 7 March and 18 April. Email “Seven complaints rejected over Late Late Show panellist suggestion to 'bin' cyclists”. Feedback on “Seven complaints rejected over Late Late Show panellist suggestion to 'bin' cyclists”.